The JOYCE FW’17 campaign addresses fashion that chooses to celebrate individuality, overlooking the boundaries set by conventional male and female dress codes. 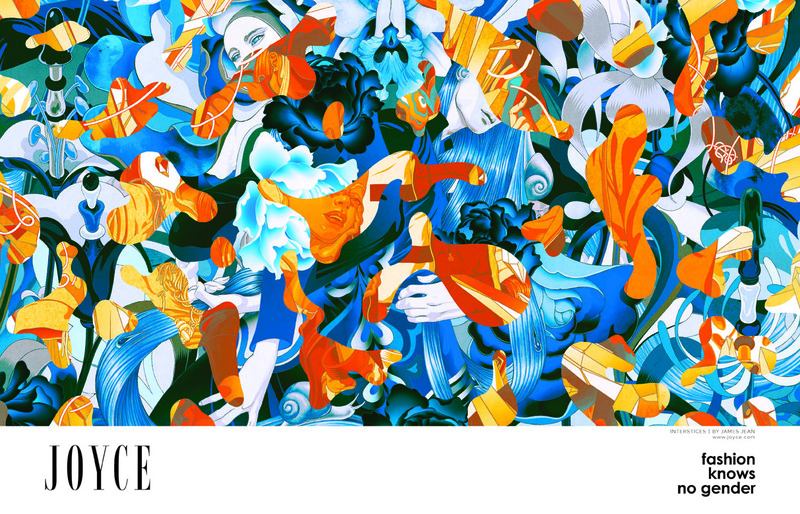 Partnering with celebrated contemporary artist James Jean, three mesmerizing pieces of artwork have been created to represent beauty unbound by gender. 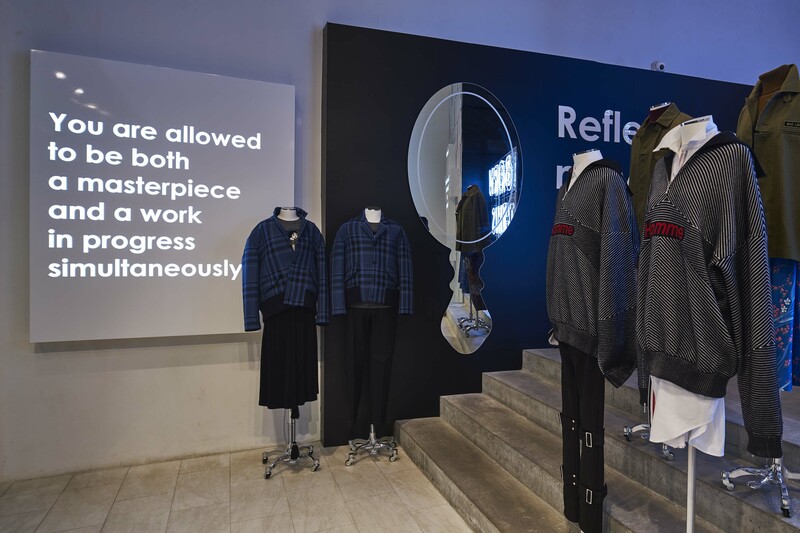 There can be no doubt that the line between male and female dress codes has become increasingly ambiguous, with designers, retailers and customers alike exploring a growing disregard for gendered dressing. This may not be a new idea, but it is a growing one. 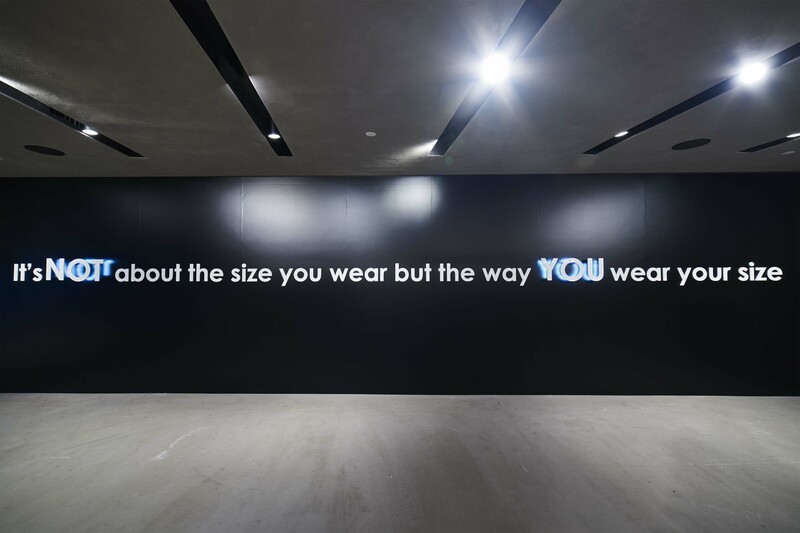 This ‘movement’ has sparked a lively conversation within the fashion industry and beyond. Is it a question of diversity? Perhaps it’s more about dressing for comfort than making a statement about identity? Are these motives mutually exclusive? If there’s one thing that cannot be denied, it is that there is something captivating about any person who is not bound by the expectations of their gender. 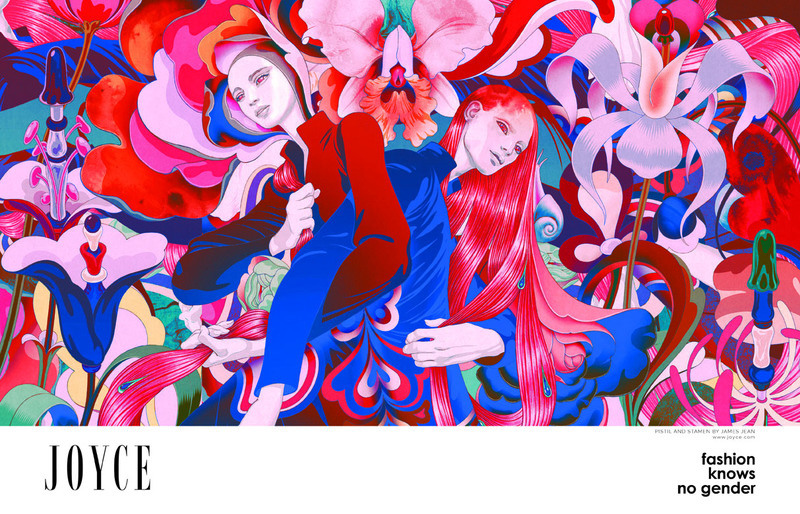 Visual artist James Jean’s foray into the world of fashion has produced numerous high-profile collaborations, most notably with Prada. 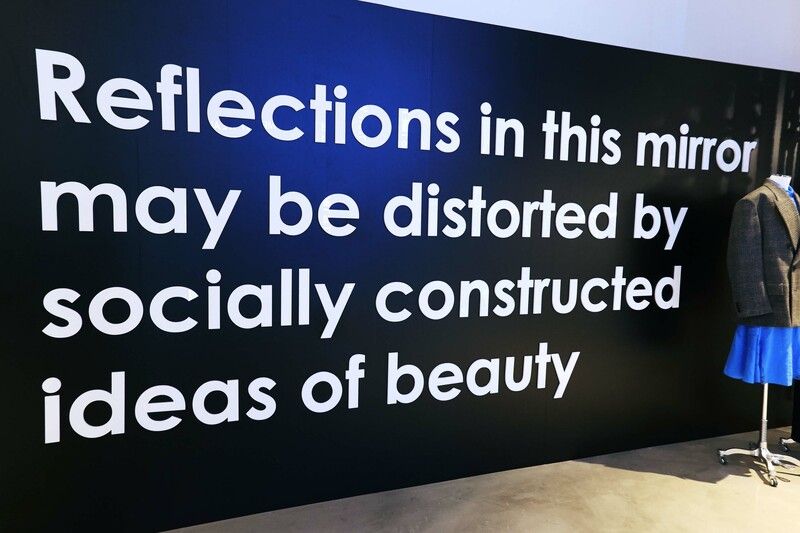 Combining these experiences in the industry with his dreamlike grasp of colour and interpretation of the human form, the artist has created two expressions of fashion outside the confines of gender: the first entitled ‘Pistil and Stamen’, the second ‘Facets’ and the third ‘Interstices 1.1’. “In ‘Facets’, giant crystals propagate the landscape. 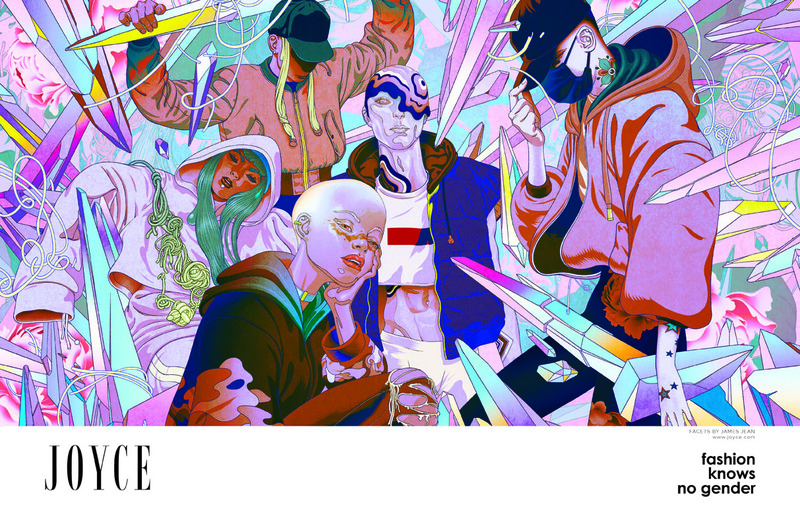 The characters, like a gang out of A Clockwork Orange, dangle from crystal shards, reflecting a spectrum of identities and the shadows and lights of their lives”. In ‘Interstices 1.1’, he says, “I thought the pseudo-camouflage motif was appropriate, relating to layers of identity, blending (fluidity), disguising/hiding.” the artist added.